Brittany joined our team as an intern while completing her accounting degree and was hired full time in 2015 with her Bachelor’s degree from Cabrini College. Brittany prepares tax returns for individuals, corporations, partnerships in addition to handling payroll tax returns for several clients. 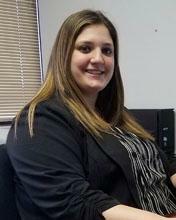 Brittany also assists in bookkeeping and forensic accounting for audits and specific cases.